SC-10 systems are based on the SC-10 main unit. These systems provide a high degree of flexibility and cover a large range of applications. High temporal resolution of 2 ps can be obtained. The main unit integrates a streak tube with quartz input window to allow light detection from UV to NIR. Sweep units for triggered operation as well as synchroscan operation are available. Furthermore, it is possible to add a second sweep unit with orthogonal deflection. 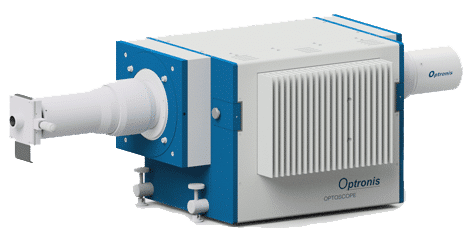 SC-10 systems are well suited for time resolved spectroscopy as they are flexible and they provide a wide range for optical coupling. For applications in detonics and plasma physics the 2-dimensional active area can be used to image the target area and consequently to simplify alignment. Streak systems based on the SC-10 main unit are flexible and can be configured for various applications. Sweep unit can be easily exchanged and therefore simplifies system reconfiguration by the user. 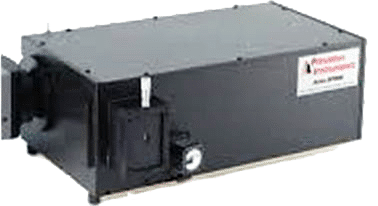 The SC-10 main unit itself is combined with an electro-magnetic shutter and image intensifier to allow single photon detection. Spectral sensitivity can be adapted to the application by selecting the type of photocathode. Optionally, a photocathode gating function can be implemented. Below you will find typical examples. Only a small fraction of all possible applications can be shown. For particular requirements, optimized configurations can be proposed. The temporal resolution of streak camera systems is determined by the streak camera itself but also by the trigger configuration used to synchronize the camera to the optical signal. When selecting the trigger configuration, trigger delay and temporal relation between optical and electrical signals need to be considered. Therefore, the selection of light source or exciting laser system has to be completed priot to consider a particular trigger configuration. This description provides an overview of typical setups. Select the distributor for your country here and ask for “AN-Trigger Configurations for Streak Cameras V2”. 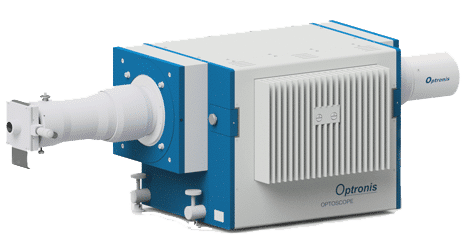 Laser systems consisting of a high repetition rate Femtosecond seed laser and a low repetition rate amplifier have particular characteristics simplifying the precise synchronization of streak cameras. Particularly, if for longer trigger delay of the streak camera has to be taken into account, trigger jitter can be minimized to maintain good temporal resolution. Select the distributor for your country here and ask for “AN-Trigger Configuration for Amplified Laser Systems”. 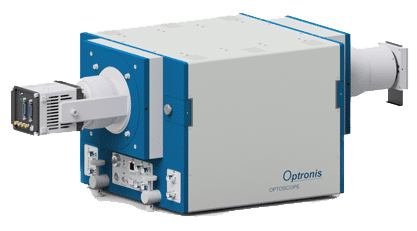 The combination of streak cameras with spectrometers allows the simultaneous measurement of wavelength and temporal pulse form of optical radiation. 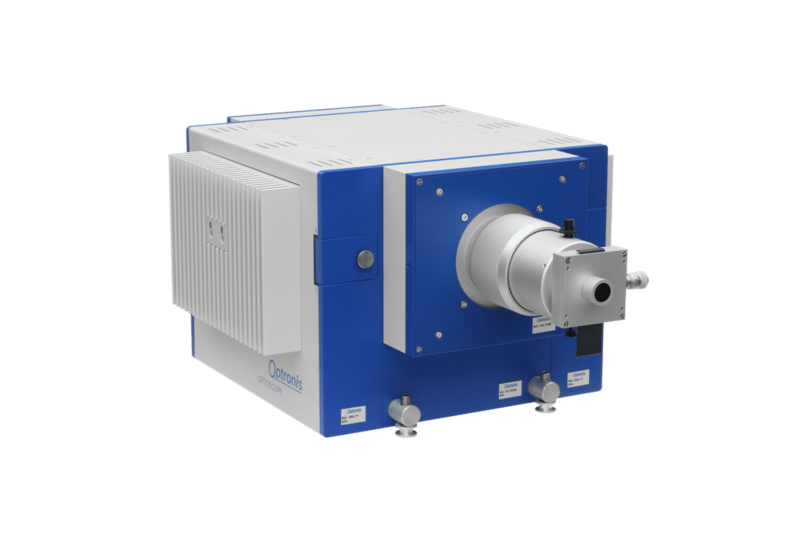 For this time resolved spectroscopy Cerny-Turner type spectrometers are typically used for wavelength separation. Inherent of these grating spectrometers is their impact on temporal resolution. This impact is described. Select the distributor for your country here and ask for “AN-Time-Dispersion of CT-Spectrometers”. The article describes how a streak camera is used to measure the detonation velocity by observing the optical radiation emitted from an explosive compound. Detonation velocity is a key characteristic of explosives and describes the velocity a chemical reaction propagates through the material. During the explosion a slit image is streaked to provide temporal and spatial information. As sweep speed can be selected over a large range, detonation velocities of slow but also very fast energetic materials can be measured. Select the distributor for your country here and ask for “AN-Detonation-Velocity”. The format used by OptoAnalyse to save image information is described. This article provides examples how these image data can be read by MATLAB or how TIFF files can be generated automatically be using MATLAB. The examples will simplify the access to streak images for further analysis. Select the distributor for your country here and ask for “AN-MatLab Support”. 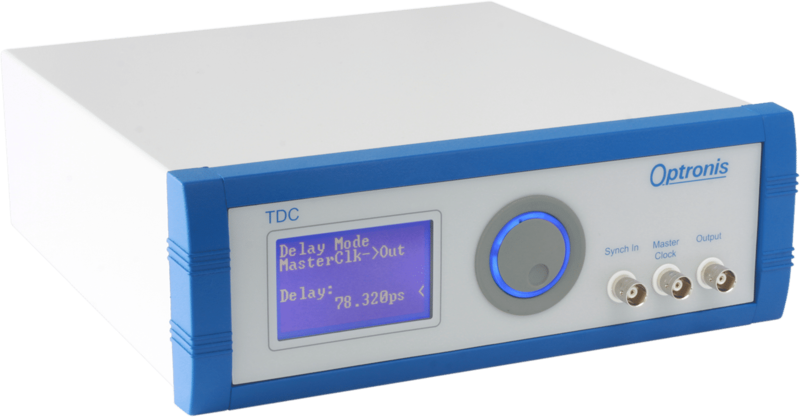 The TDC is used to delay trigger signals and to generate trigger signals when combined with lasers integrating amplifiers or pulse pickers. Streak systems with the TSU12-10 can take particular advantage of the TDC. A detailed description of operation and functional principles is given with “AN-Trigger Configuration for Amplified Laser Systems“, available on request. 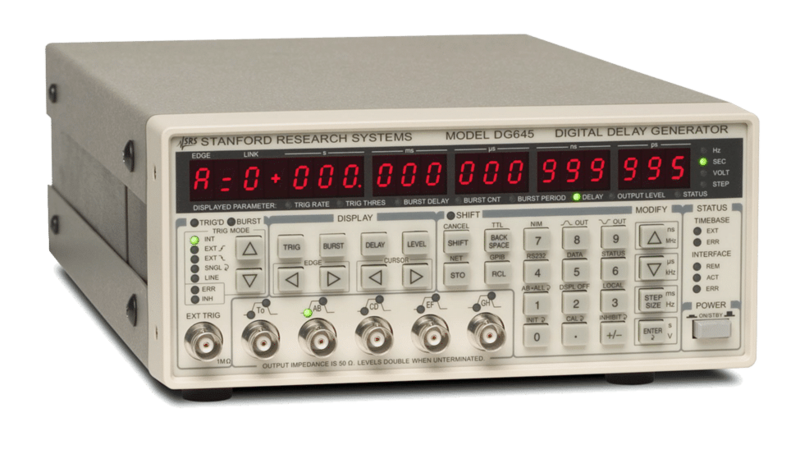 The programable delay and pulse generator DG645 (Stanford Research Systems) can be used for systems integrating the TSU12-10, TSU21-10 and TSU22-10 sweep units. In combination with the TSU11-10 jitter characteristics of the DG645 need to be considered. The DG645 can effectively be employed when externally triggerable light sources are used. The TRRC1 is a passive delay line. The operation principle inherently does not add trigger jitter. Particularly for systems using the TSU11-10 maintain high temporal resolution in repetitive trigger mode. A fast photodiode LJPD/VI combined with the pulse generator LJPG is used to provide a low jitter trigger signal. Systems using the TSU11-10 will take advantage from this units to obtain good temporal resolution in repetitive mode. In order to generate a low jitter synchronization signal the fast photodiode LJPD/VI is used with the sinus generator LJSG. This solution is typically used for Ti:Sa laser systems at 80 MHz pulse repetition frequency. 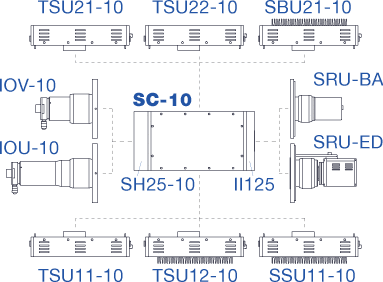 The synchronization signal can be used to drive the SSU11-10 sweep unit or the TDC. Combined with a photodiode LJPD/VI the CFD can provide low jitter trigger pulses as well as a low jitter synchronization signal. The functional principle (constant fraction discriminator) minimizes trigger jitter related to pulse amplitude fluctuations. The LJFD/N is a frequency divider with adjustable division ratio. The device has a very low jitter between input and divided output signal. The LJFD/N has an additional input to enable single pulses to pass the device with very low jitter also. 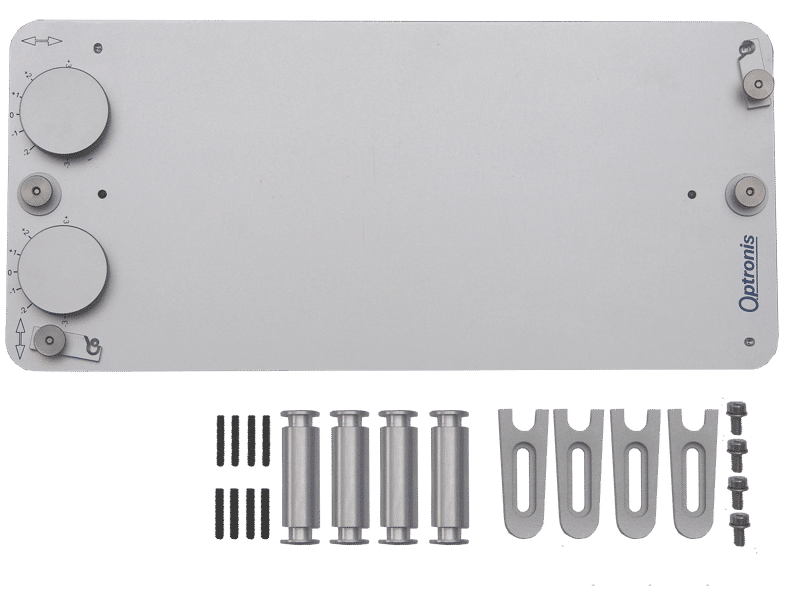 The frequency dividers LJFD/H2 and LJFD/H4 are used to divide high frequency signals. The division ratio is fixed to 2 when using the LJFD/H2 and to 4 if the LJFD/H4 is used. Selection of output frequency is application specific. For frequency conversion for example from 125 MHz to 250 MHz the low jitter frequency multiplier LJFM is used. Input and output frequency can be selected according to application requirements. 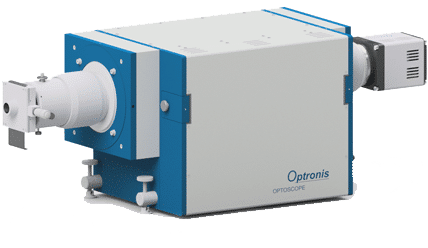 For time resolved spectroscopy systems, different spectrometers can be combined with the SC-10. A SP-2558 spectrometer (Princeton Instruments) is show as typical example. Model and grating selection can be done application specific. In order to position a streak system as detector on a spectrometer output, the COUP-TS can be used. This allows fine adjustment in two directions parallel to the optical table. Mounting cylinders are provided with the COUP-TS. They are fixed on the spectrometer to set the optical axis to the appropriate height. The components of the SC-10 based streak System are available as 3D models in STEP and DWFX Format. Please ask here for the relevant components and format. We will be happy to send you the data. Select the appropriate version for the readout camera you use. The manual provides information on compatibility with operating systems. Please note that downloading and use of the program and manual is only permitted as part of an update or when trialing a product.